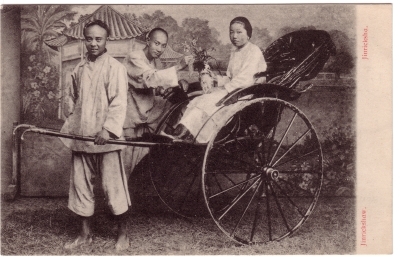 Action: Studio scene from Hong Kong or Canton, in which the woman passenger of a rickshaw receives a vase of flowers from an admirer. A painted backdrop has been set up on the lawn, and all three actors look at the camera. Image Particulars: The studio was set up outdoors.